A first for Cape Town! 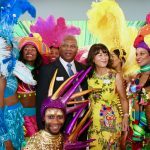 This year the Cape Town Carnival was delighted to welcome the participation of the Chinese community of Cape Town for the first time. 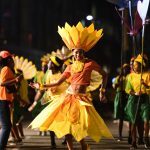 The response from existing Carnival groups was equally enthusiastic, particularly once they experienced the warmth, energy and excitement of the new performers. 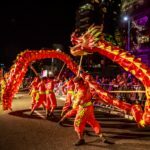 Not only was it a first for the Cape Town Carnival, it was also a first for our local Chinese Community: whilst the legendary Dancing Dragons and Temple Lions are a feature of Chinese ceremonies and celebrations around the world, none of the young men who were going to be the Dragons and Lions in Cape Town had manipulated these iconic Chinese puppets before. For the final two weeks of rehearsals the Chinese group leader brought out an expert from China to assist with training. 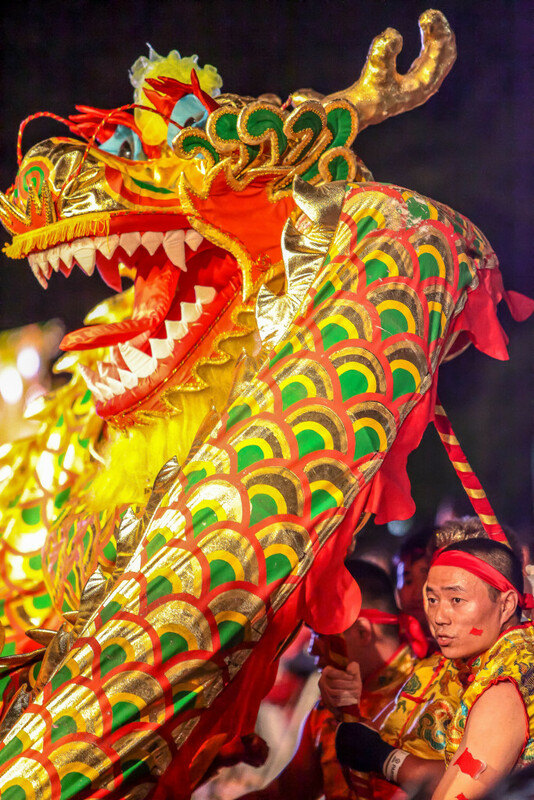 The Chinese women assisted with stitching and building the puppets while the young men received training in puppeteering; working just with poles and the body work required to prepare for the spectacular movements that were to come. It was a beautiful example of how a community can support each other with focus and diligent hard work. “First and foremost, I would like to thank everybody for the well organized Cape Town Carnival 2017. You guys did a great job! Without your guys’ hard work, the Carnival would not have achieved such success. Without your guys’ passion, commitment and hard working, we would not have completed our work. It was such wonderful experience to participate in the Cape Town Carnival for the Chinese Community in Cape Town. We highly appreciated the great assistance from the Carnival Organizers. We enjoyed the excitement of being part of the Carnival Family and the celebration of diversity of communities and cultures. 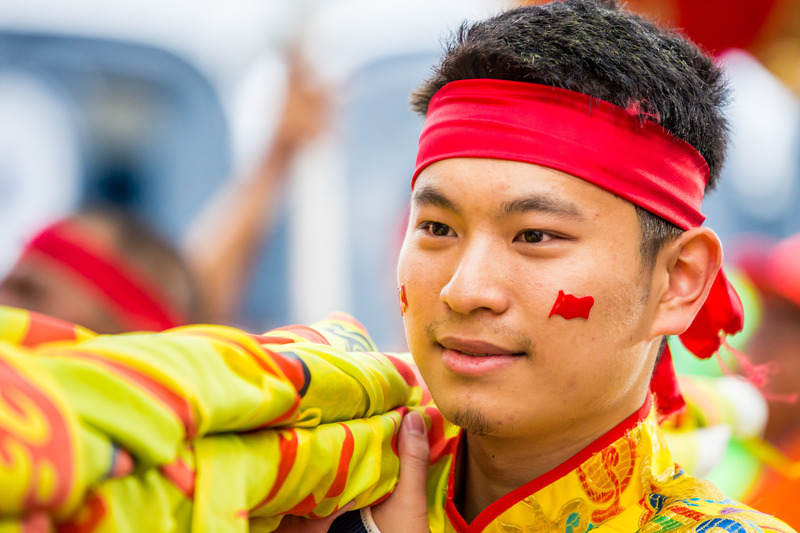 The Chinese Community of Cape Town regards Cape Town and South Africa as our second motherland. We are proud of being part of the Rainbow Country and to share the diversity of its multi-cultures. 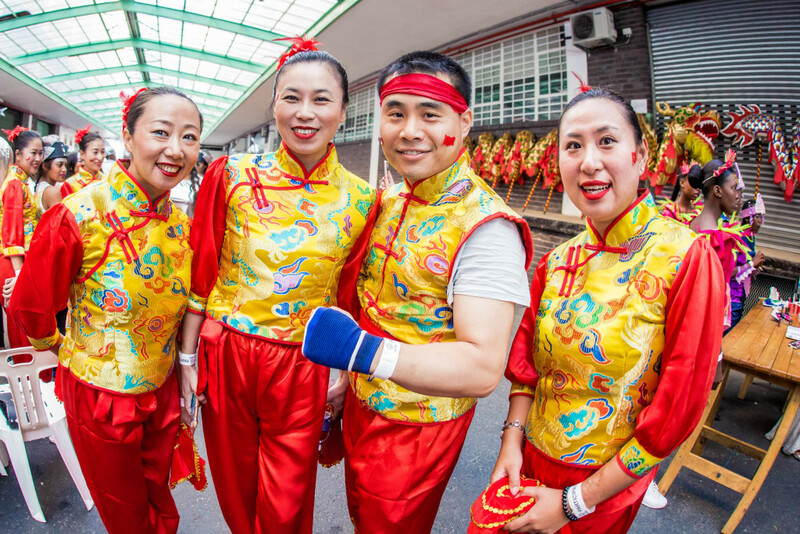 It was the first time for the Chinese Community in Cape Town to participate in the Cape Town Carnival. We appreciated having this opportunity to demonstrate our culture to the Capetonians and to integrate with the local communities. Most of our performers became excited while they were still waiting at Back of House 2. They started singing and dancing, taking photos with members of other community teams. There was no distinguishing between culture, language, and races. Together, we all shared in the happiness of the Carnival Family. Other Community members also came to our group to take photos, and enjoyed watching our team rehearsing. Initially, we struggled to organize our community to participate in the Carnival due to the time and strength needed and our lack of experience. However, once we had committed to our participation, we received great encouragement and assistance from your guys. We also received great support from our own community together with the Consulate General from the P.R. China in Cape Town. PERFORMANCE AND DESIGN MEET IN SUNKEN SHIP & COSMIC SQUID SPECTACULAR!